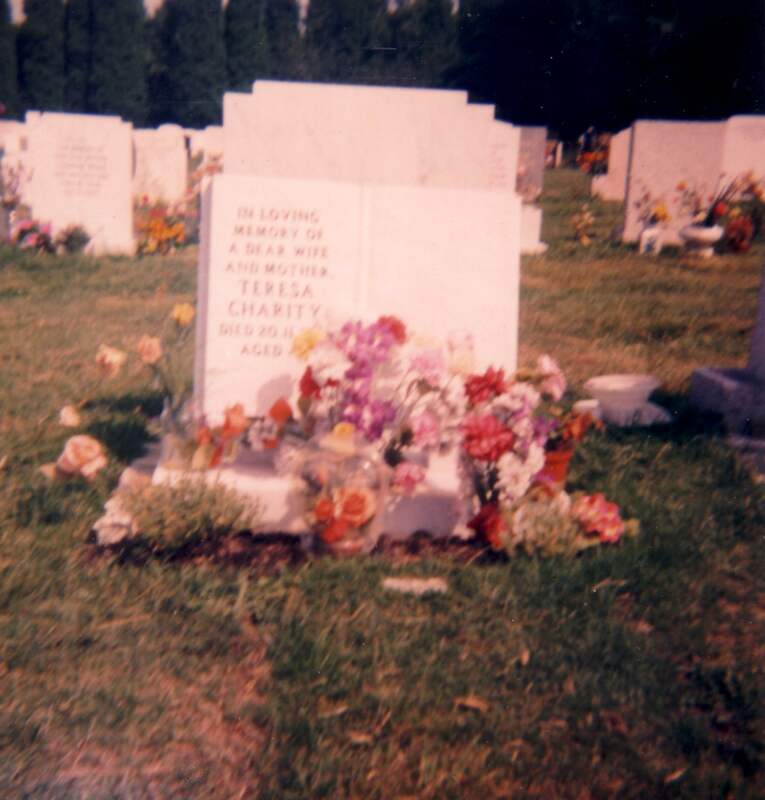 Teresa was born on July 11th, 1937. Teresa's father was Laurence Harding and her mother was Mary (The Topper) Casey. Her paternal grandparents were Nicholas (Nicklos) Harding and Margaret (Maggie) Heffernan; her maternal grandparents were John Casey and Mary Carrol. She had four brothers and two sisters, named Nicholas, John, William, Edmond, Peggy and Mary. She was the youngest of the seven children. She died from cancer at the age of 45 on November 20th, 1982.